David Byrne brings his most ambitious live show yet to Manchester, Getintothis’ Geraint Rhys reflects on something quite extraordinary. Ten years ago, Getintothis saw David Byrne play live in Sheffield. He was touring his then newly-released album Everything That Happens Will Happen Today, his second pop record with Brian Eno. Accompanying him was a modest band and some backing dancers. We left that gig glad to have the opportunity to witness one of pop music’s greats. His voice was as haunting as ever, and he had combined the right level of quirkiness with precise musicianship. However, we couldn’t help but feel that we’d witnessed an artist whose most inspired days were in their twilight years. Fast forward to his appearance in Manchester and the infectious joy that Byrne exudes to his committed audience is still there. He has an innate ability to make you want to move beyond yourself and fill the surrounding space with light, love and the most outrageous dance moves you wouldn’t try anywhere else other than in the company of one of pop music’s most iconic shifters. This experience though, felt different from ten years ago. American Utopia is not a gig. It is a theatrical performance which combines intricate and well-timed choreography, with unique visuals and mobile musicians. For almost two hours, 66-year-old Byrne and his team explore every inch of the open stage, inviting the audience to see them from every angle. Their bodies exposed, they sift through the vast space like little grey satellites bouncing off each other’s energy. 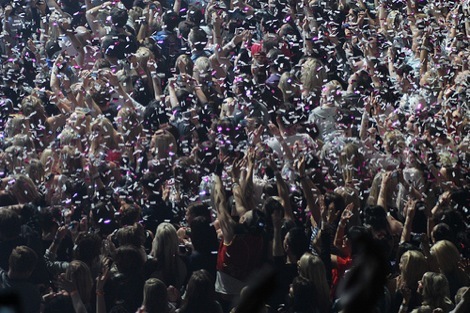 All of this while performing some of the most influential pop records from across the past four decades. Few artists successfully bring together all that has ever influenced them and package it in a way that is provoking as much as it is infectious. But one of Byrne’s most enduring characteristics has been his ability to continuously combine a vast array of musical influences to produce his own unique brand of alternative pop. From, folk, punk, afrobeat, electronica and RnB to Jazz, techno, hip hop and country, these influences stream through his work. The bare stage meant there was nowhere to hide and served to accentuate how intricately crafted these songs are. 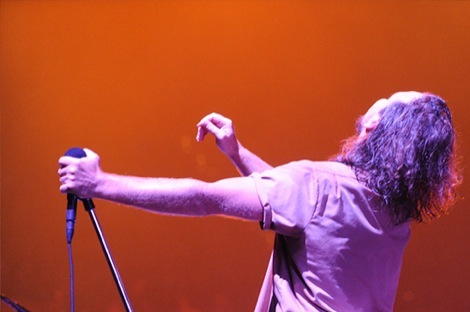 From the more seasoned classics such as Road to Nowhere, Naïve Melody and Burning Down The House to newer tracks like Gasoline and Dirty Sheets and We Dance Like This from the album which the tour gets its name from, all were delivered with a conviction that left you wanting to know how as much as why. If you went to this gig expecting nostalgia with some strong visuals, this was much more relevant. This was not an elder pop statesman trudging through the hits like many of his contemporaries are happy to do. This was an individual as curious with his art form as he was when he decided to produce the genre defining concert film, stop making sense with his band The Talking Heads, 34 years ago. An artist committed to re-defining the boundaries of live performance to produce innovative and challenging art. American Utopia is also a political statement, and the diverse ensemble each have their own vital role to play. They are equals to Byrne not just supporting acts. An embodiment of the multicultural Utopia that the accompanying record suggests is needed in Donald Trump’s America. This is particularly emphasised by the final piece that they sing in unison where they get the audience to repeat the names of many young black Americans who have died in police custody. But this was not an out of place contrived tokenistic piece thrown in at the end, it is delivered with the same authenticity and creativity as every song other song and serves as a reminder as why David Byrne is as relevant today as he ever has been. We left the performance feeling emotionally, spiritually and physically challenged and more convinced of the power of the visual to challenge us to be inquisitive about the world. 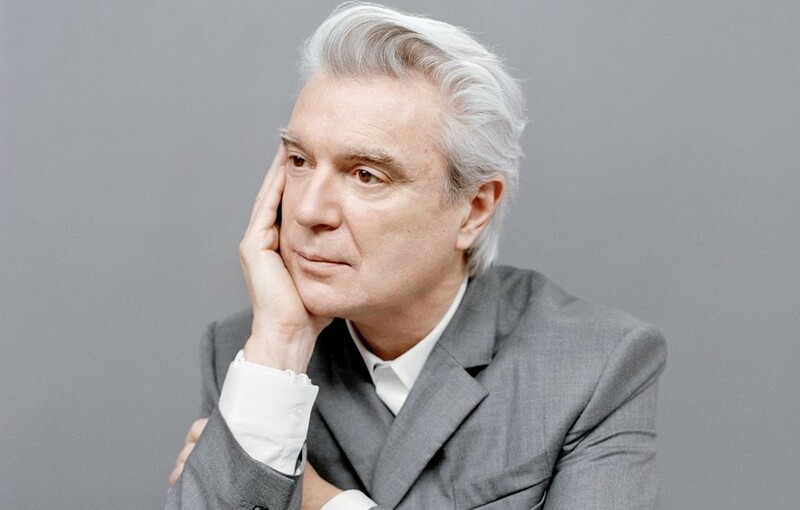 We just can’t wait to see what David Byrne has in store for the world in ten years’ time.